Hello, friends! 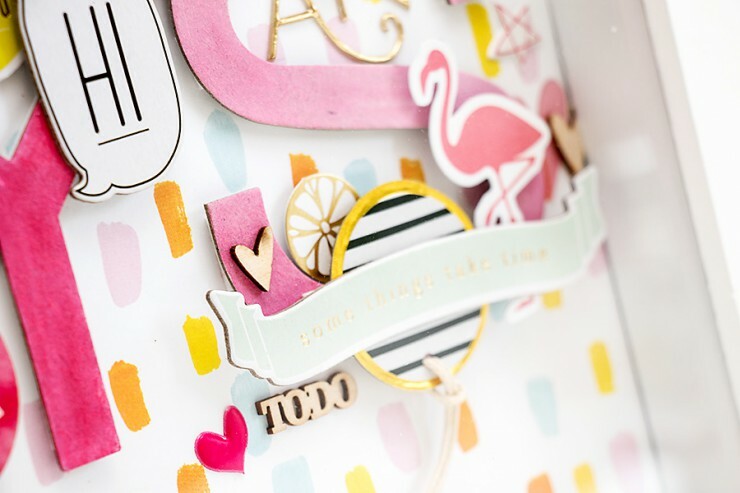 Its the 15th of the month which means there’s a new blog hop from Gossamer Blue Blog! 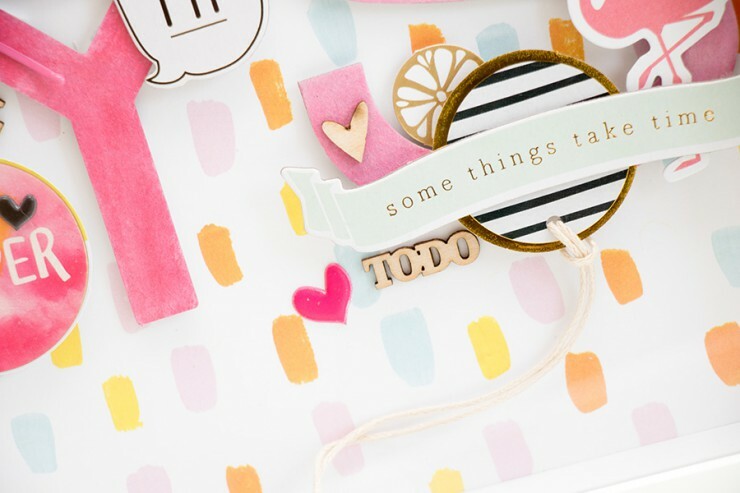 If you are a Gossamer Blue kit subscriber (and even if you aren’t) be sure to hop along each stop for lots of gorgeous inspiration! I created a little inspirational and motivational piece for myself. I’ve recently set a new goal that I’m hoping to achieve in the next few years and I’ve made this piece to remind myself about this goal, to encourage and to push myself forward. It contains a few little (important to me) riddles and a couple pretty things just for fun. 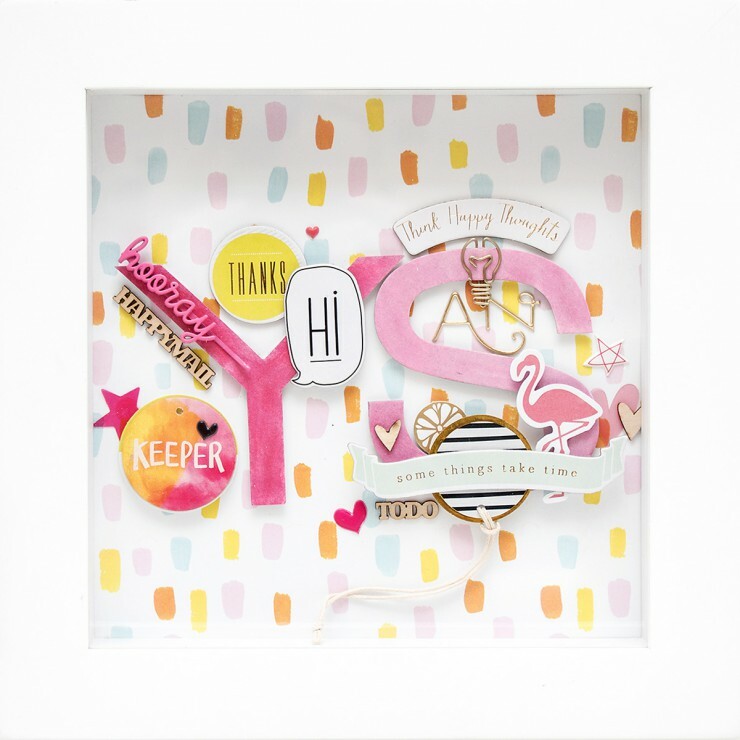 This is an 8×8″ framed piece; I created this one using a variety of products from June kits from Gossamer Blue. 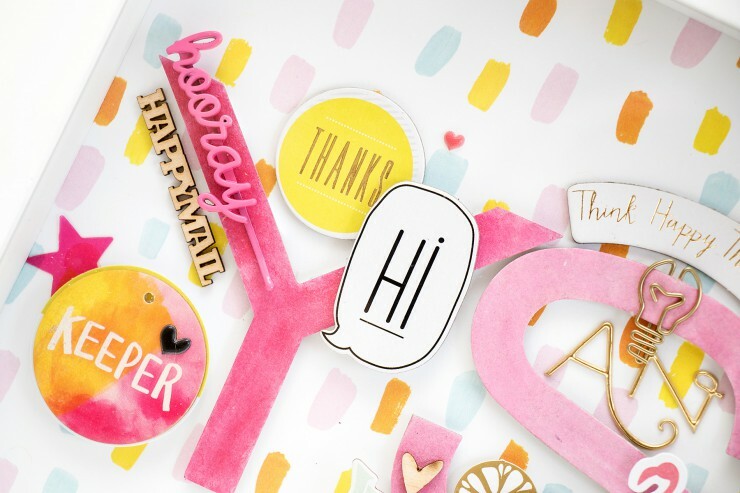 I started with a sheet of patterned paper from the Main Kit and added large chipboard letters (I painted them pink) – my initials. 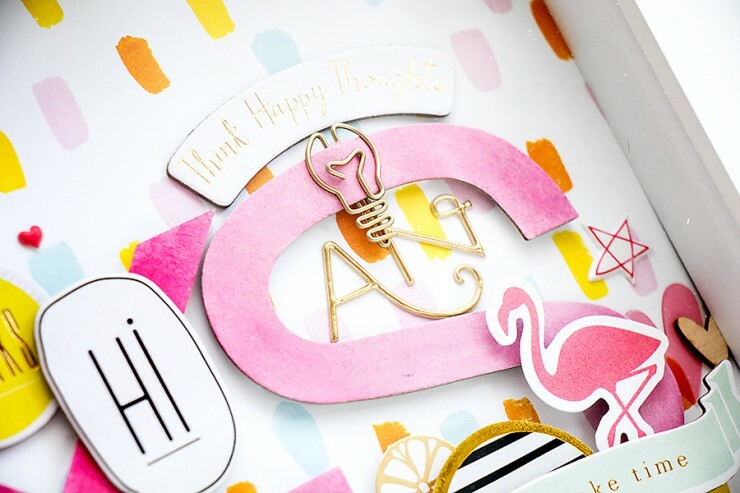 Next I dressed each letter up a bit using an array of things – there’s a pink bobby pin which says Hooray, a little Happymail wood veneer elements, a Thanks & Hi chipboard stickers; a fun colorful Keeper wooden element, some little wooden hearts, a die cut flamingo and some other stuff as well. I am the last stop on the hop, but if you didn’t arrive from Sabrina Alery feel free to start from the beginning at the Gossamer Blue blog. Oh my… Awesome!! It’s full of happiness and joy! Wish all your dreams (goals) come true!